Today marks the release of my third and final-for-the-time-being indie release – Curfew. I lovingly hand-crafted all of these books and I’ll be posting a few lessons I’ve learned along the way but overall it’s been a fun experience. It’s been fairly time consuming though and although I was getting quicker with each release, there’s still a few things I’d do differently. In particular, the experience has reinforced the fact that no matter how many times you go over a manuscript, you can always find something new to tweak. And I’m not talking about mistakes or typos. These are just changes that make the text that little bit better. But eventually those changes aren’t really making the story better, they’re just making it different and you have to call it a day. I had to keep reminding myself that “Perfect is the enemy of done” and move on to actually publishing the story. This is my last indie release for a while but I have more titles lined up – both short stories and longer works. I won’t be building all of them by hand, I have writing I want to get done, but having that experience will help a lot when I start working with other people. In the meantime, here’s everything you need to know about Curfew. 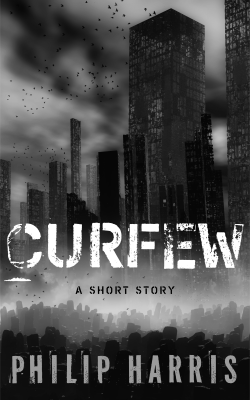 Curfew is a supernatural thriller. It’s a short story, approximately 18 pages long, and contains scenes of violence. It’s priced at 99c in the US and the lowest I can make it in all the other markets. Curfew is the darkest of the three stories and flirts with horror at times. 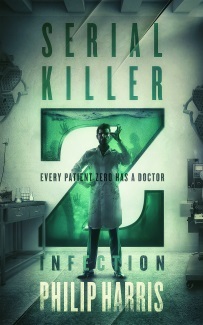 If your literary leanings tend more towards the darker side of life, this is the story for you. If you do pick up the books, I’d love to hear what you think of them and reviews are always welcome on Amazon or Goodreads.